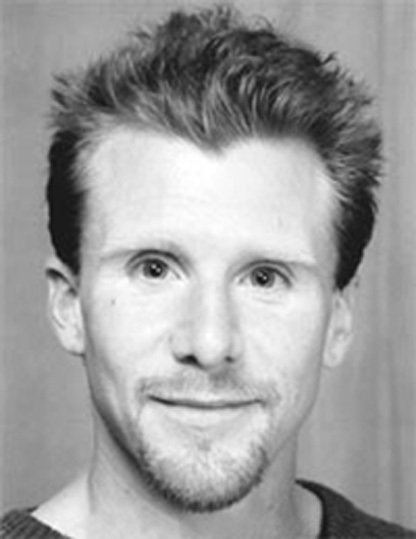 In 1998 Adrian co-founded the Loch Dhu Dancers which evolved into one of Houston’s most popular professional performance troupes keeping the torch alive for new audiences in the Texas Celtic scene. The Loch Dhu Dancers performed to Celtic Rock music which more often than not featured bagpipes in their instrumentation. It was in the Spring of 2001, and it became a natural evolution to hire a live bagpiper at many venues, rather than to dance to a CD or “canned” music. 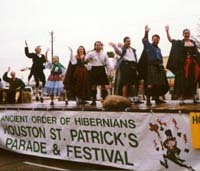 When the troupe performed at the Houston International Festival April 28-29, 2001 bagpiper Richard Kean was hired to perform on bagpipes. Subsequently, from that time until late September 2001 Loch Dhu performed at the Kelvin Arms, a Scottish Pub in Houston’s posh Rice Village every Friday night. In May, 2001 the idea of forming a performing troupe that had, instead of 12 dancers and a piper (Adrian would double as a percussionist as well as dance), which is very expensive to tour or book for clients; the idea of a musical act with high-energy and humor with only two members who could dance would be a more viable and cost-effective entity. It was a sound business move to add another performing group to Houston’s Celtic offerings. This idea was in need of a name. 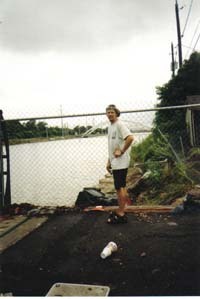 Just after the Houston International Festival and Tropical Storm Allison (June 5-9, 2001) which flooded Houston for 4 days straight, Adrian and Jody Townsley (a prominent Loch Dhu Dancer and actress set about generating proposed names. It was not until Jody wrote a list of about ten different possibilities. On this list, one of the hopeful names was “Tartanica” reviving images of something big and colossal, while retaining the root word “Tartan” which is the name of the plaid fabric patterns each family name in Scotland uniquely wears. Adrian suggested dropping the “A” at the end, so it was simply “Tartanic.” Everything was a go. It was a beginning, at least. 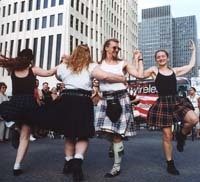 For awhile both Loch Dhu and Tartanic coexisted in Houston, until most of the young dancers in the troupe had demanding school, work and/or family schedules and stopped performing as there were not enough dancers to perform the choreography. 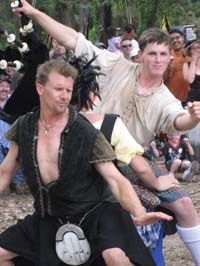 The Loch Dhu Dancers still performed at the Texas Renaissance Festival for 2000-2002 seasons before paving the way for Tartanic who has been performing there since. Starting in late 2001, Tartanic began touring the United States branching out from Texas and in their current season in 2008, have been gracing stages in Chicago, Detroit, Kansas City, Phoenix, Albuquerque, Dallas, San Antonio, and other cities in Southern California, Oklahoma, Missouri, Arizona, Iowa, Illinois, Michigan and Wisconsin. Dressed in kilts and sunglasses, Tartanic gives its audiences a barrage of sound from not one but TWO Highland Bagpipes, and three percussionists. Imagine one dancer, six drums, six drones, 18 notes, fast fingers, high comedy, flying bagpipes, taste-defying stunts and scorching hot music played at over 120 beats per minute with driving speed and high-volume, all brought to you by five men without pants. Jay Kruse, a native Texan now transplanted to Las Vegas plays percussion along with David Macejka from upstate New York. Both are accomplished musicians; David plays the New Orleans Jazz Festival as the percussionist for C.J. Chenier every year in long-standing annual fete, while Jay's background is in Jazz bass guitar and handcrafting flutes--even travelling to Turkey to hone his skills on the Ney, a long bamboo reed instrument. The sound is driven by the melodies brought by bagpipers Mike McNutt and Andrew Beck. McNutt is a sound engineer from Tennessee. Mike has mixed everything from country western music to bagpipes, and has since relocated to Boston. Andrew Beck, the band's youngest member is a trained Emergency Medical Technician, and award-winning piper from upper Michigan. Together, the sound is impenetrable. With the skills of not one, but two, award-winning bagpipers, Tartanic is a force to be reckoned with. The future looks very bright for Tartanic, as two new albums are set to be released in 2008, and the combined talents of all the members find new expressions in new material in both the studio and onstage. Tartanic sails strongly with the wind at their back, and the music always at high tide. Sati was the wife of Shiva. Unfortunately, Sati’s father disliked Shiva intensely. The dislike was so intense, the situation eventually became unbearable for Sati. She decided to kill herself so that o­ne day she could reincarnate as the daughter of a man who would like Shiva. So she immolated herself to end her father’s disdain and dishonor for her husband, Shiva. In India, widows emulated this myt hic act by throwing themselves o­n their dead husband’s funeral pyre, in order to honor their dead husband and to absolve the sins of the entire family. Imagine yourself…your mate has died…Your love was so deep, so essential to your being and your having been, that you cannot imagine, you cannot bear any more life without the other half of your beating heart. You make your decision. You will leave behind this existence, you will shuffle off this mortal coil. You will follow the path of your love and hope to be reunited in another existence, in another life. Using the music of Tartanic, this work is a brilliant and emotionally wrenching exploration of the practice of Sati (aka Suttee). It’s easy for me to say ‘using the music of Tartanic’ but o­ne needs to experience this work to fully appreciate the brilliant melding of Tartanic’s heartbreaking bagpipe keening and solemn drums with the emotive and irresistible dance movements of Samudra Fusion Dance Company. Reetu Jain’s dance movements were mesmerizing, hypnotizing as she communicated the emotions of a widow preparing for immolation. Richard Kean’s original music haunts me yet. I cannot emphasize enough the riveting and captivating nature of this work. The music, the movement, the set merged into a brilliant and illuminating realization of the topic at hand. This work is the product of true talent. Adrian Walter deserves accolades for directing such a pellucid execution of a penultimately challenging subject. a collaborative piece by Tartanic and Samudra Fusion Dance Company. [su-tç', sut'ç] By extension from the mythic Sati, the term is also used for the death, voluntary or involuntary, of widows on the funeral pyres of their husbands in India. "You light the fire of love in earth and sky in heart and soul of every being. All opposites unite, all that is profane becomes sacred again. But sometimes I do, and that sight becomes this art." The fusion of theatre, dance and live music in a multi-cultural avant-garde setting enables the gap between just a band performance, just a theatre piece or just a dance number to visually and viscerally involve the audience. This performance trend continues in this collaborative debut, conceived by Adrian Walter with original music by Richard Kean and choreographed by Reetu Jain for Dance Houston 2005.